The following conditions apply to all deliveries of the company Dust of Soul (short “Dust of Soul”) to the buyer. These conditions govern the legal relationship on the sale or purchase of merchandise, recordings and video carriers of Dust of Soul. Deviating agreements and assurances are only valid if they are confirmed in writing by Dust of Soul. This also applies to some of the contract underlying terms and conditions of the purchaser. Verbal and telephone arrangements as well as agreements reached with the associates of Dust of Soul require for validation the written confirmation by Dust of Soul. As local jurisdiction for all disputes arising out of the business of the purchaser with Dust of Soul are the courts in Lucerne, Switzerland in authority unless there are statutory provisions. However Dust of Soul is also entitled to sue the purchaser at his location. If any provision of these Terms is held invalid by the courts, the remaining provisions shall not be affected. The contractual relationships between the Company Dust of Soul to the ordering judge exclusively according to Swiss law. If you have a final order sent, this is binding. Color variations in photos (especially in the internet) are possible mainly due to the technical requirements of the buyer (browser screen, graphics card, etc.). Therefore please note the exact color description in the article text. Color variations are therefore not recognized as defects. All deliveries are made to particular each of Dust of Soul sales prices, which are subject to change, unless the individual order is based on a different agreement evidenced in writing. The products of Dust of Soul are not subject to VAT. On the order confirmation the amount to be paid will be shown as 100 percent. Payments to Dust of Soul in advance (bank transfer) must be made solely to Dust of Soul. When choosing this payment method, you will receive the bank information from Dust of Soul as an order confirmation via e-mail. The delivery will be sent only after receipt of the full payment in the bank account of Dust of Soul. From this point, the agreed delivery periods apply. If you are in possession of a Paypal account, you can choose this payment method. After crediting the full payment on the Paypal account of Dust of Soul, the delivery will be sent. From this point, the agreed delivery periods apply. Credit card payments are accepted as well. However, these must be made through the services of Paypal. So please choose the Paypal payment method for credit card payments. To use this payment method, you DO NOT need to have a PayPal account. In the payment process, you can skip the login to your account and select your credit card provider (Mastercard, Visa, Discover Card, American Express) and submit the payment. After receipt of full payment on the account of Dust of Soul delivery will be sent. From this point, the agreed delivery periods apply. Orders against invoice are accepted only in isolated cases with customers and require the written approval of Dust of Soul. In the Official Online Store of Dust of Soul (www.dustofsoul.com/shop and www.dustofsoul.com/de/shop) this payment method is therefore not offered. Please get in touch with Dust of Soul. Sale prices are only allowed in the case of express prior written agreement or actions awarded by Dust of Soul coupons with a valid code. In the event of such an action, you can specify the code of your coupon when ordering. Checks will not be accepted without the written consent from Dust of Soul. With claims against Dust of Soul, the customer can only be offset or apply the retention if the counterclaim of the purchaser is undisputed or a final title against Dust of Soul present. Payment must be received at Dust of Soul in any case always before the shipment without any other consent from Dust of Soul. The dispatch of the goods ordered is carried out by the usual transport (post, rail, truck, etc.) at the risk of the purchaser (sale by delivery to a place other than the place of performance). The type of shipment is determined by Dust of Soul. Shipping is generally from stock in Switzerland, that is the shipping costs will be charged at cost price. Special requests by the purchaser with regard to the shipping mode or insurance against breakage transport or fire damage must be recorded separately on each order. The costs resulting from special requests by the ordering additional costs shall be borne. You have the assurance that your products arrive reliably and promptly to you. For deliveries within Switzerland you pay the shipping charge of CHF 5.00. For international deliveries, the delivery cost CHF 7.00 will be applied. We will ship your products free on orders above CHF 60.00. Deliveries within Switzerland are sent by Swiss Post. Even deliveries abroad are passed to the Swiss Post and then shipped internationally. Place of performance is Switzerland. Execution of orders is carried out according to the delivery options of Dust of Soul. Partial deliveries are allowed, unless otherwise agreed with the customer has been made. Dust of Soul is not obliged to deliver goods which are either no longer located at Dust of Soul in production or is no longer in stock at Dust of Soul, although may still be located in the catalogs or offer lists. If the customer orders the goods by phone, email or online, the customer agrees that the order is received by order forms. Deliveries within Switzerland, Austria, Belgium, Denmark, Finland, France, Germany, Great Britain, Ireland, Italy, Luxembourg, Netherlands, Norway, Portugal, Spain, Sweden, and the United States of America. Deliveries are usually within 6 working days. Should we not have a product available in stock, we will inform you as soon as possible, when to expect the delivery. Delivery is at the risk of the recipient. Buyers from other countries will be asked to get into contact with Dust of Soul. Perhaps there is a possibility for a special order to there. The conditions for this may be agreed separately. Complaint relating to defects or due to incomplete or incorrect delivery must be notified to us immediately to at least 20 days from the order date in writing to Dust of Soul. The product provided by Dust of Soul stays owned by Dust of Soul until the fulfillment of all liabilities of the customer against Dust of Soul. If the buyer sells goods that are owned by Dust of Soul, on account further, delivers the resulting purchase price from this supply in place of the delivered goods. This purchase price applies with its emergence as ceded to Dust of Soul. The purchaser is obliged to identify Dust of Soul merchandise in its invoices to a third party as such. If the commodity or claims entered in place of that product entity owned by Dust of Soul is seized by creditors of the customer, then the purchaser shall notify Dust of Soul immediately and send the relevant documents and enclosing a corresponding affidavit that over goods or the seized claims owned by the Dust of Soul, and to bear the cost of measures to eliminate this attachment, particularly of intervention processes. If the buyer does not discharge his obligation to pay and the company resulting from the reservation of Dust of Soul obligations by not belonging, he discontinues his payments or a judicial composition or bankruptcy proceedings opened against its assets, so are all outstanding receivables from Dust of Soul against the purchaser immediately due. If the due and / or accrued receivables are not paid immediately, then Dust of Soul is entitled to secure its retention of title and goods subject to the Purchaser’s expense and to withdraw, and to open the assignment of receivables towards defining the debtors and collect the claims. The purchaser is obliged to supply all necessary information to Dust of Soul for this purpose and to hand over the relevant documents. In addition, the purchaser is obliged to allow the commissioner of Dust of Soul to enter the business and storage premises of the purchaser, and issue of the product currently still owned by Dust of Soul to the Representative of the Dust of Soul. If the purchaser is in default or has the financial situation of the purchaser designed unfavourable Dust of Soul is entitled to withhold orders placed or to require its option prepayments or security. 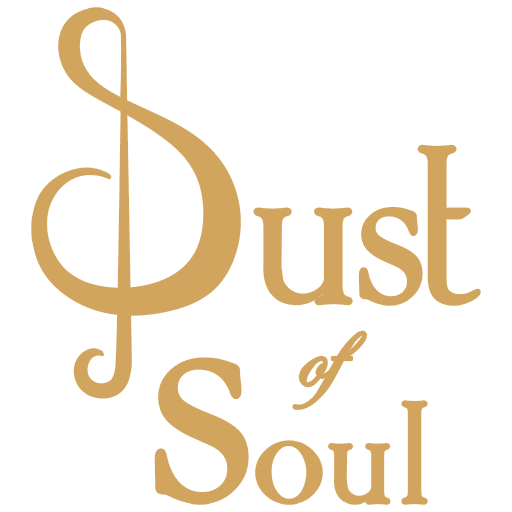 Orders through the Official Online Shop from Dust of Soul are binding from the receipt of full payment at Dust of Soul and can not be revoked. If the order has been sent, it will not be withdrawn. All orders must be equivalent to the price in CHF at the time of payment in accordance with the relevant exchange rate of the foreign currency. Orders are shipped only after receipt of full payment at Dust of Soul. The goods travel in all cases at the risk of the purchaser, even if franco etc. sold, or the prices free destination are agreed, that any resultant on the carriage way losses due to damage etc. – for whatever reason – are charged to the purchaser. Additional costs through surcharges for freight tariffs, tax and tariff increases are borne by the purchaser. Dust of Soul is entitled to strike the purchase price in full height to all managed for imposing during the settlement of the financial statements by federal and state law new duties (incl. Taxes) or increases of existing taxes, which the production or delivery of the goods will be directly or indirectly affected or taxed. The delivery of goods is carried out in perfect condition. Obvious defects must be made within 5 (five) days after receipt of the consignment upon presentation of the delivery note or invoice by the purchaser at Dust of Soul. To assert hidden defects a limitation period of 6 (six) months applies. For legitimate claims generally occurs replacement. A claim for conversion (credit after returning the recognized inferior goods) exists only if replacement is not done within a reasonable period after acceptance of the complaint. Claims for reduction or further damages are possible only in case of proven breach of duty. Where delay in delivery due to the nature of the transaction is generally not regarded as a breach of duty. The leasing, rental or similar evasive transactions (eg. Sale with right of return) of record supplied by Dust of Soul is permitted only with explicit prior written consent of Dust of Soul. The same goes for any dubbing on tape and foil, the burning of CD-ROMs and other recordings, except as expressly permitted by the copyright law. The SOUND and IMAGE CARRIERS supplied by Dust of Soul (CD, DVD, optical disks or similar video carriers) are intended exclusively for sale. Each private copying by copy or CD burning is strictly prohibited and is subject to civil and criminal law. Hire and rental of SOUND and IMAGE MEDIA is prohibited. If the customer supplied IMAGE CARRIERS are provided from Child Protection Laws with age classifications, the customer is obliged to observe the information given on the IMAGE CARRIER age ratings necessarily. Such IMAGE CARRIERS may be issued only to persons who have reached the ager specified on the IMAGE CARRIER. In case of doubt, the person must identify oneself. The customer is committed to respecting the legal protection of minors. Any modification of our goods, which could give the impression that it is a special product is not permitted. It should be noted that the export of our goods may preclude copyright or related rights of third parties in other states. Dust of Soul disclaims any responsibility if the buyer is far availed. If opened, the bankruptcy or insolvency proceedings against the purchaser in the course of business, Dust of Soul has the right to separate from negotiated with the purchaser years condition agreements with immediate effect. Place of performance is Lucerne (Switzerland).